A 20-year-old cruise ship crew member went overboard near Puerto Rico. 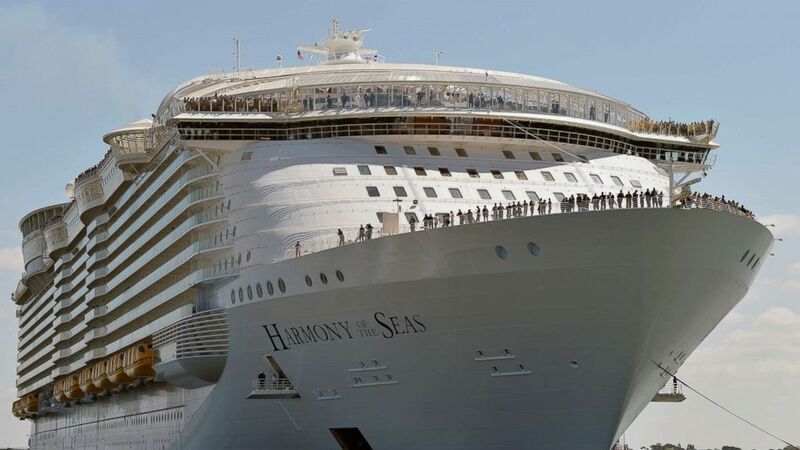 A desperate search is ongoing in the waters off the coast of Puerto Rico after a 20-year-old crew member of the Royal Caribbean cruise ship, Harmony of the Seas, apparently went overboard, according to the U.S. Coast Guard. The crew member, Aaron Hough of the United Kingdom, went missing Tuesday night, officials said. The U.S. Coast Guard station in San Juan, Puerto Rico, was notified that Hough went overboard in the Atlantic Ocean about 267 miles northwest of Aguadilla, Puerto Rico, officials said. (Jean-Francois Monier/AFP/Getty Images, FILE) A photo taken on May 15, 2016 shows the Harmony of the Seas cruise ship as it sails from the STX Saint-Nazaire shipyard, western France, out to sea. The Coast Guard dispatched an HC-130 Hercules airplane and the crew of the cutter Resolute to search for Hough. Details of how the crew member went overboard were not immediately released. In July, a 33-year-old employee on a Norwegian Cruise Lines ship went overboard and was rescued a day later by a Carnival cruise ship after he spent 22 hours in the waters about 21 miles north of Cuba. A pair of Costa Rican fishermen lost at sea for 20 days, one so weak he could no longer walk, were rescued last week by the crew of a Royal Caribbean International cruise ship that came upon the stranded men after altering its course to Cuba due to a storm, officials said. The crew of the Empress of the Seas came across the men on Dec. 20, ending an ordeal that began on Dec. 1 when they fell asleep while soaking their nets and high winds sent them adrift in the open ocean, James Van Fleet, chief meteorologist for the Royal Caribbean International, said in a statement.